GardenBloggers.com , in collaboration with In the Garden Online is launching an experimental project that for the time being is called GROW. The first part is a communal seed growing project for active, personal garden bloggers. Renee's Garden, the online seed catalog, has generously agreed to sponsor the project and will be providing participating garden bloggers with Nasturtium "Spitfire" seeds. The idea behind the project is to get several garden bloggers to grow the same seeds and provide monthly updates on them. We hope that we create a sense of community among the participants who are all growing the same seed. 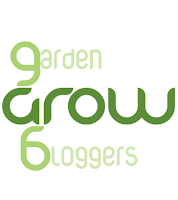 The project is limited to active garden bloggers and we have set number of spots available, if you are interested please visit http://grow.gardenbloggers.com and read the details for the project and sign up. Since I get regular questions from garden bloggers about how they can reach companies that want to partner with garden bloggers I figured this would also be a fun way to play matchmaker. Last summer Renee's Garden set up a resource page for media and garden bloggers where garden bloggers could contact Renee if they had questions about seeds or the garden seed business. Several times this winter when I've been preparing posts about seeds I've made use of their resources and am thankful for how generous they are with their time. The idea for GROW is borrowed from the One Seed Chicago project that I'm helping with this year. Residents of the Chicagoland area vote for their favorite seed and then One Seed Chicago distributes the winning seed for free to everyone who voted to encourage people to plant gardens. If you live in the Chicagoland area please visit One Seed Chicago and vote. If you don't live in the Chicagoland area, but have friends or family who do, send them the link and tell them to participate in the project. And thanks for info bout Renee's Resource page. LOL. You all are getting a lot of rain in California. I'm sure you wouldn't trade it for my cold weather though. How do I participate? I'm growing nasturtiums of all kinds right now. I'm not sure how well they will do in the summer in Miami. at the link for the GROW project posted in the post click the link that reads "seed GROW project" and read the info and fill it out.